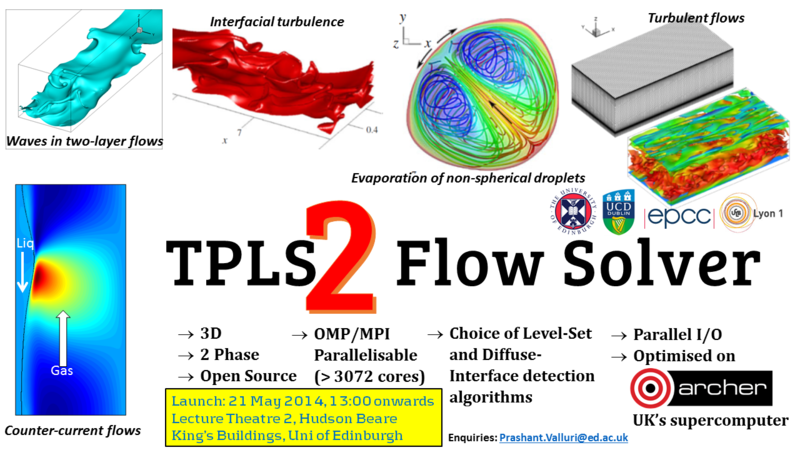 All of you are cordially invited to the second open source release of the TPLS flow solver. The full programme for the day is indicated below. The unique diffuse-interface method (Ding et al, J. Comp. Phys, 226 (2), 2078–2095) as a second choice for interface-tracking. 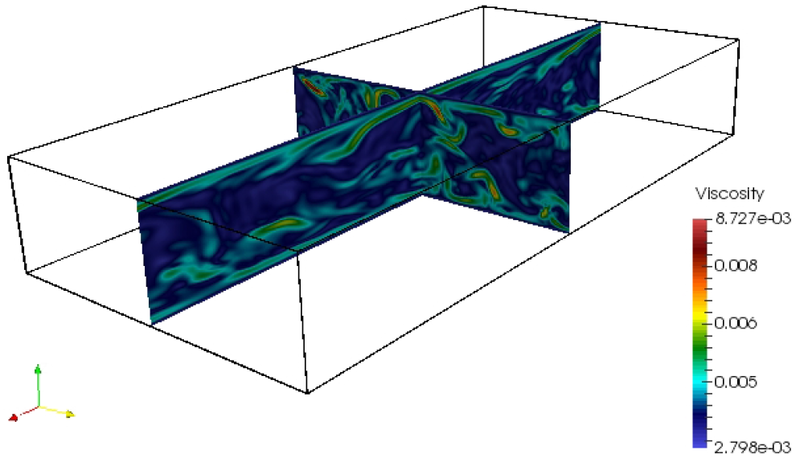 The diffuse-interface method is particularly useful for simulating flows with contact-lines. Choice of two interface tracking methods - the Level-Set Method and the Diffuse-Interface method. Parallel I/O - resulting in reduced output file size and contributing to speed-up. Improvised parallel performance - further optmised solvers. 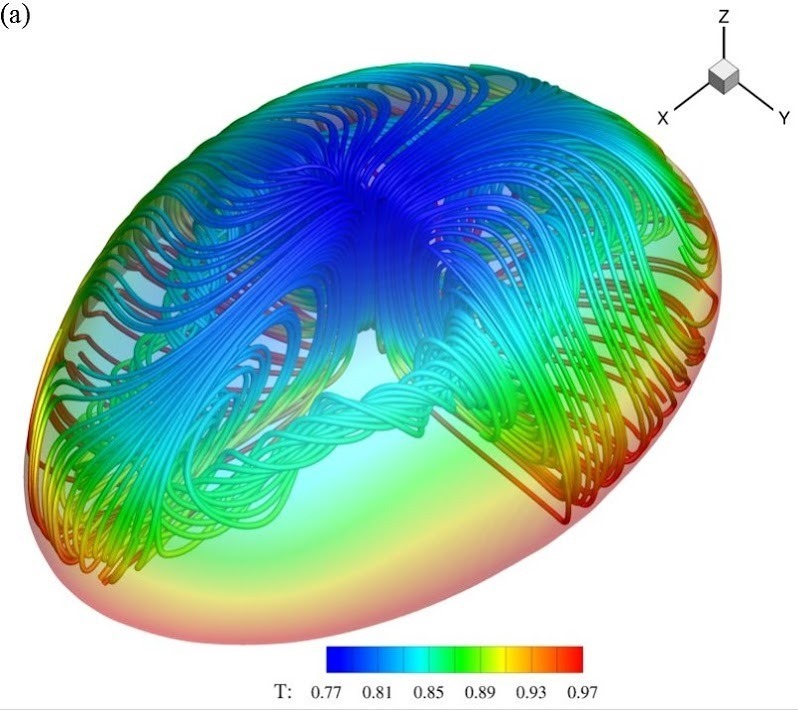 TPLS has been developed by Lennon Ó Náraigh, Dr Prashant Valluri, Dr Toni Collis, Dr David Scott, Iain Bethune and Prof Peter Spelt under the aegis of several ARCHER (previously HECToR) computer time grants and funding from EPSRC and the eCSE programme. Further information on the contributing developers and funding programmes can be found in the further information section below.